In consolidation analysis (set in the frame "Settings") the bottom window in the frame "Analysis" allows to enter consolidation parameters. The first construction stage of calculation represents only geostatic stress at initial time of construction. Top and bottom interface of consolidated soil layer and direction of water outflow from this layer (upwards, downwards and both downwards and upwards) is entered in the first construction stage. 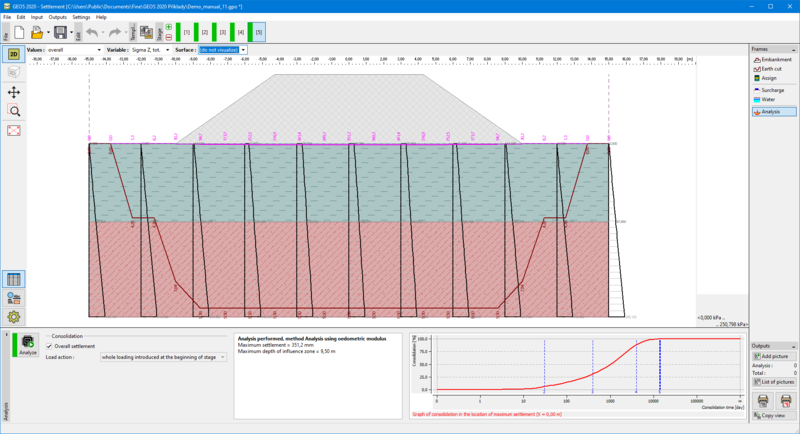 Program allows to draw a time course of settlement (graph on the right of the desktop) according to relevant theory of settlement. The vertical axis shows degree of consolidation U [%], on the horizontal axis is shown time of settlement t [days]. 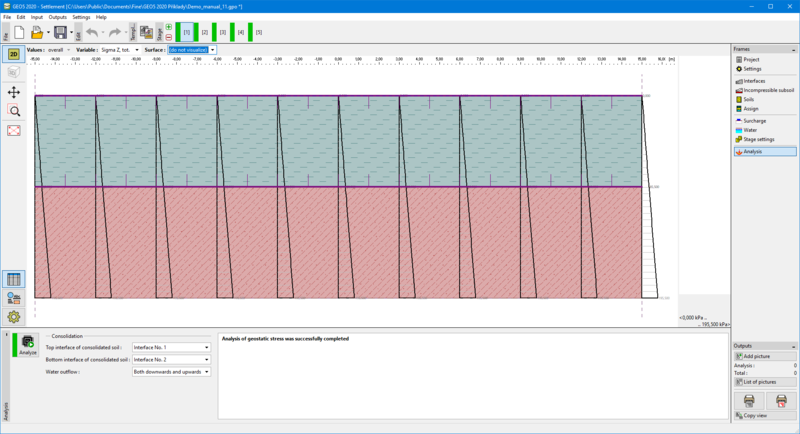 In other construction stages time of stage duration and load action are entered. Program allows for choosing from two options of load acting: whole load introduced at the beginning of stage or load linearly increases during stage duration. The calculation is then launched from the first construction stage to the construction stage where "Overall settlement" is checked (may be checked in whatever stage except first one).